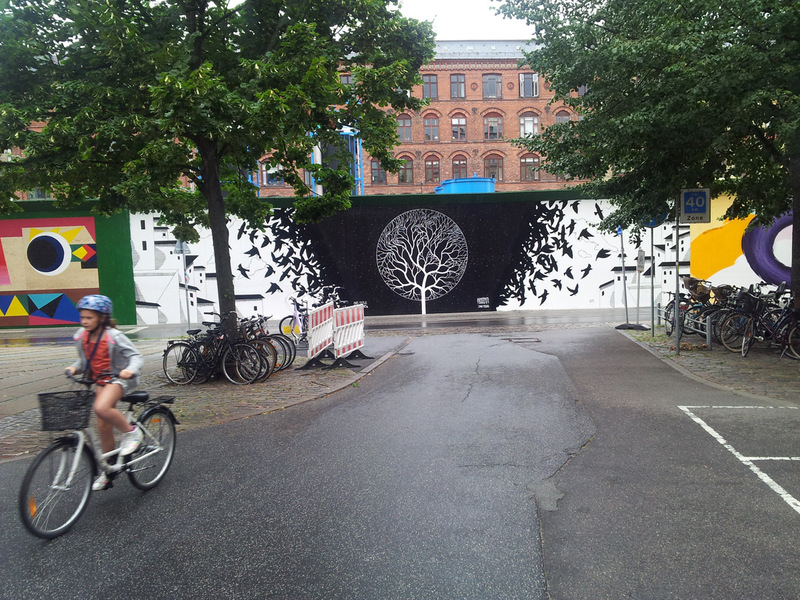 I painted this round tree structure on Sønder Boulevard in Copenhagen back in August 2013. 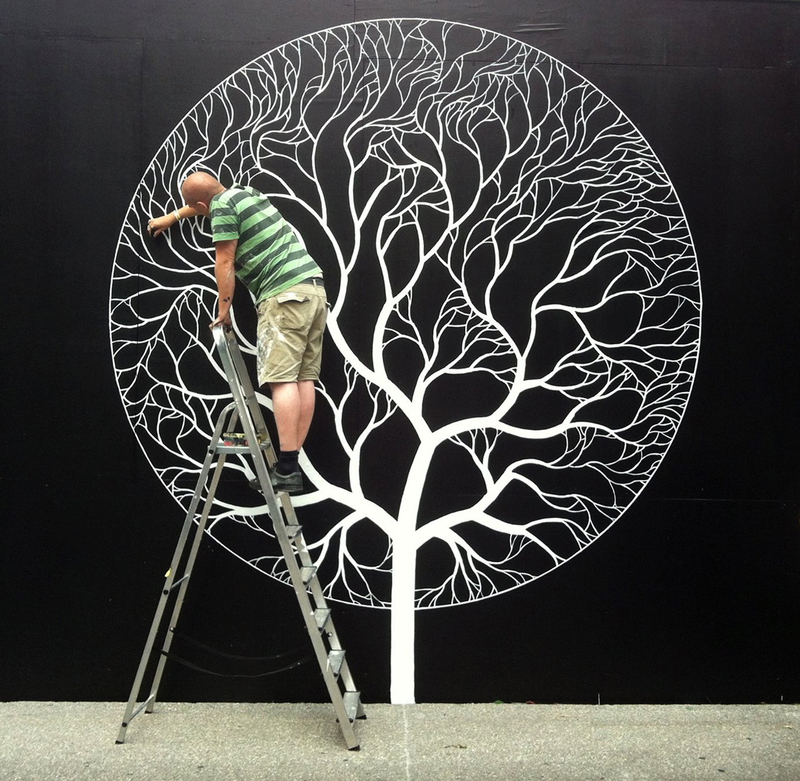 Painted in pure black and white, clean cut shapes, planes and unfolding patterns – this exact tree became a signature image in my artistic production. 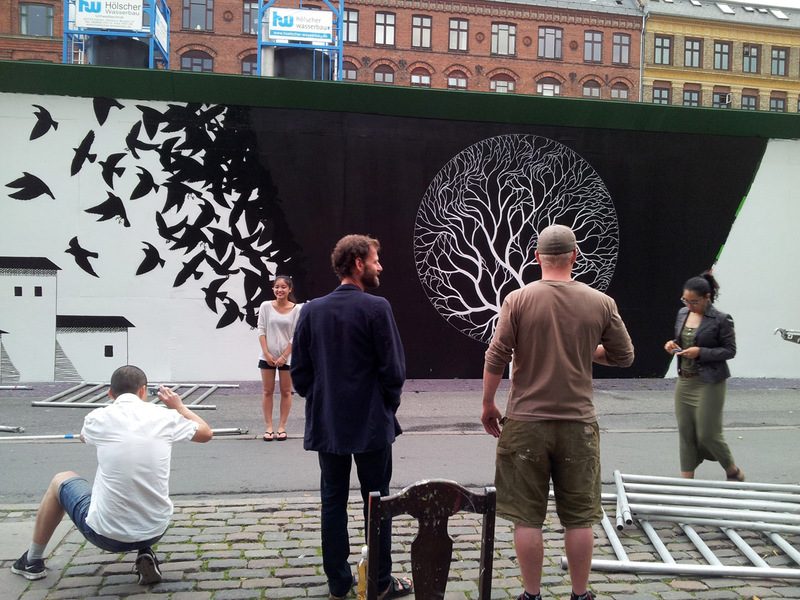 The tree is situated in a black space, evolving into flocking birds – background becoming foreground in an optical effect. 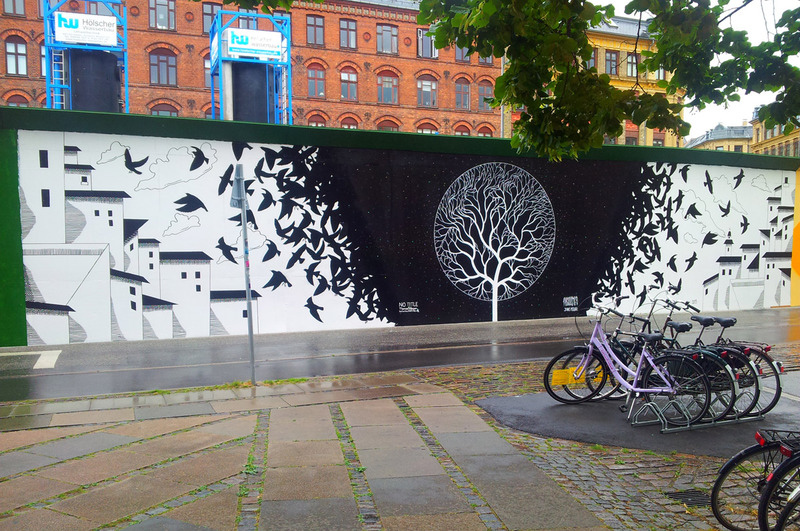 Prwnd painted the left and right sides with birds and landscape. Photo by Linda Cordius. Original painting by No Title. Copenhagen, Denmark, August 2013.